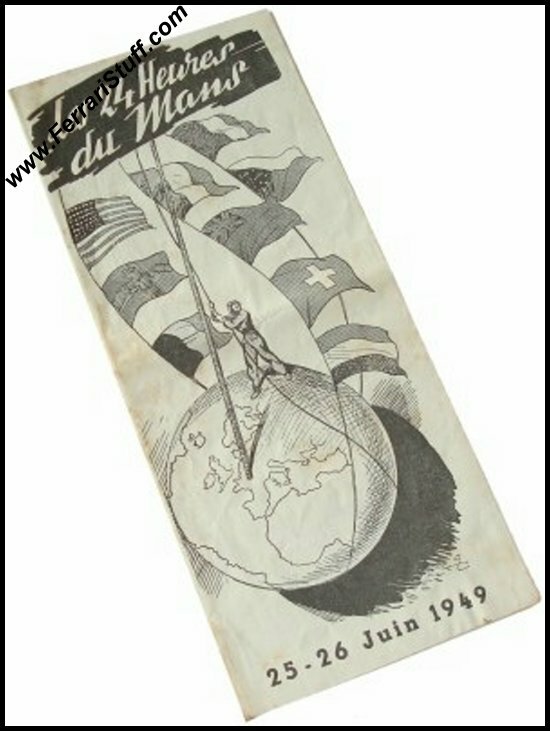 Vintage 1949 Le Mans 24 Hours Handbill. 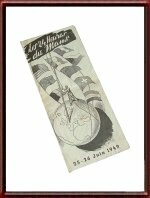 The 1949 edition was the very first post WW2 24 Heures du Mans and it was won by Luigi Chinetti (with Lord Selsdon) in their Ferrari 166 MM Touring Barchetta S/N 0008MM with a total of 235 laps to their name. 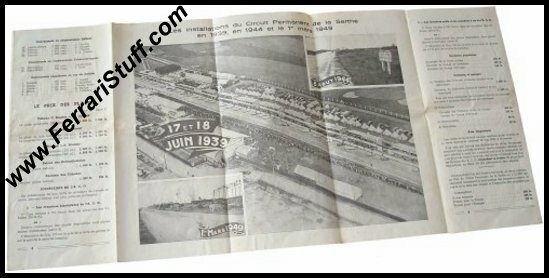 The second Ferrari that was entered was the Ferrari 166 MM Touring Barchetta S/N 0010M of Jean Lucas & "Ferret" (Pierre Louis Dreyfus) which crashed out of the race after 53 laps.